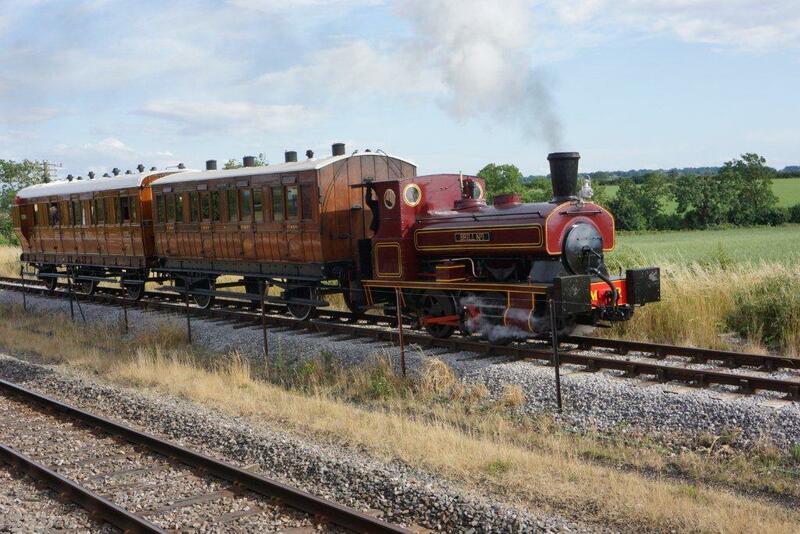 On the 3,4 and 7 August, Buckinghamshire Railway Centre was transported back in time as visitors flocked to a little corner of ‘Metro-land’ to rediscover the delights of a time when steam ruled the railways. 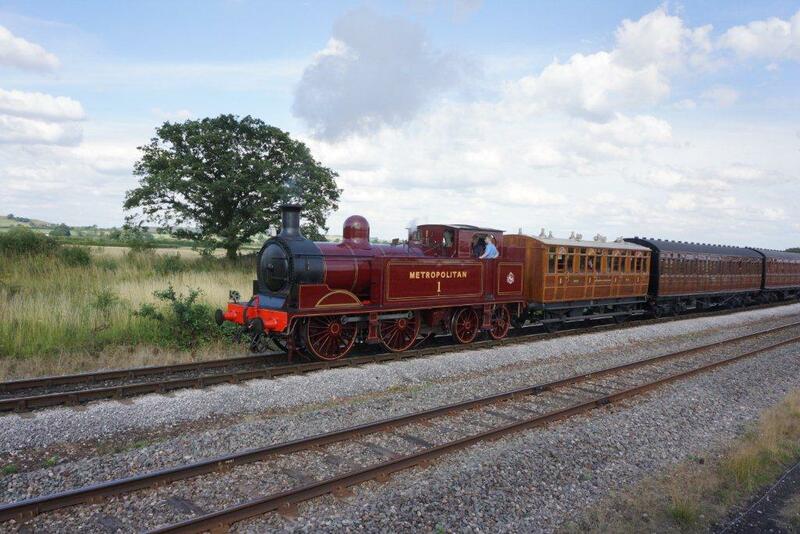 Based at picturesque Quainton Road station, a former outpost of the Metropolitan Railway, the event was a fun-filled extravaganza with a wide variety of family friendly activities to keep people of all ages fully entertained. The highlight was undoubtedly the appearance of Met Loco No.1 and Jubilee Carriage 353 in full working order, both beautifully restored with the help of the Heritage Lottery Fund and London Transport Museum friends in celebration of the Underground’s 150th anniversary. Enthusiasts and families alike savoured the opportunity to see what rail travel was like more than a hundred years ago as regular steam trips took place along a length of track at the Centre. Not only did Met Loco No. 1 make an appearance, but so did a recreation of a 1900 Brill branch line engine, resplendent in Metropolitan livery. Visitors were given the opportunity to ride in open carts, reliving the experience of the first Underground travellers. A number of other vintage carriages were also attached to both Brill and Met No. 1. The train rides didn’t stop there. The Centre’s miniature railway was in full operation, taking its passengers on an extensive tour of the top end of the site through leafy trails and dark tunnels. As well as the steam train rides, London Transport Museum brought their Safety and Citizenship team, complete with show vehicle, to teach younger visitors how to stay safe while on the transport network. Also present was a bus and Tube bouncy castle which provided entertainment for energetic youngsters, and respite for their tired parents! 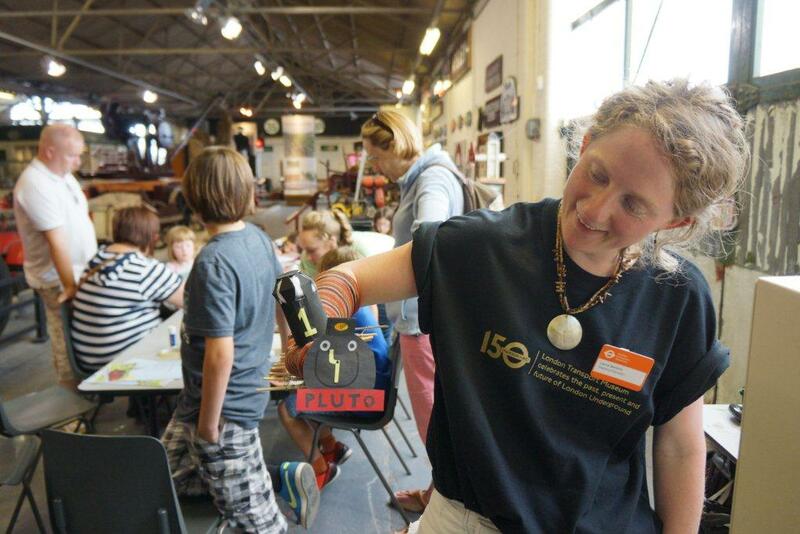 Craft workshops, an array of locomotives and rolling stock, a model railway, a fascinating museum, and film screenings of Sir John Betjeman’s Metro-land, amongst countless other activities, truly ensured this was an event to remember. The café provided tasty snacks and refreshments for those needing a bit of an energy boost in the warm August sun. It was a fantastic few days which brought to life a forgotten Metro-land, with Buckinghamshire Railway Centre providing a fitting backdrop for another opportunity to celebrate the 150th anniversary of the London Underground.